Click on the image to see a sample of our company store. 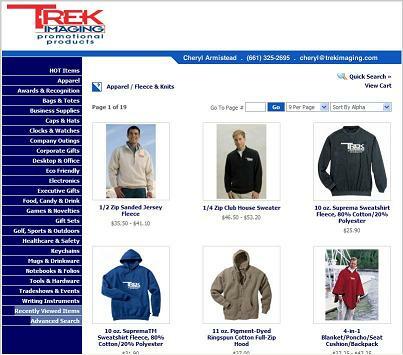 We can provide your business or organization with your own personally branded company store. Your store can offer your employees unlimited item branded with your company logo or personal message. These stores are commonly used for safety programs, company attire, rewards programs. Each store is customized with the items that you choose and they are displayed with your logo when previewed. Contact one of our sales staff today for more information on how to get your company store started!